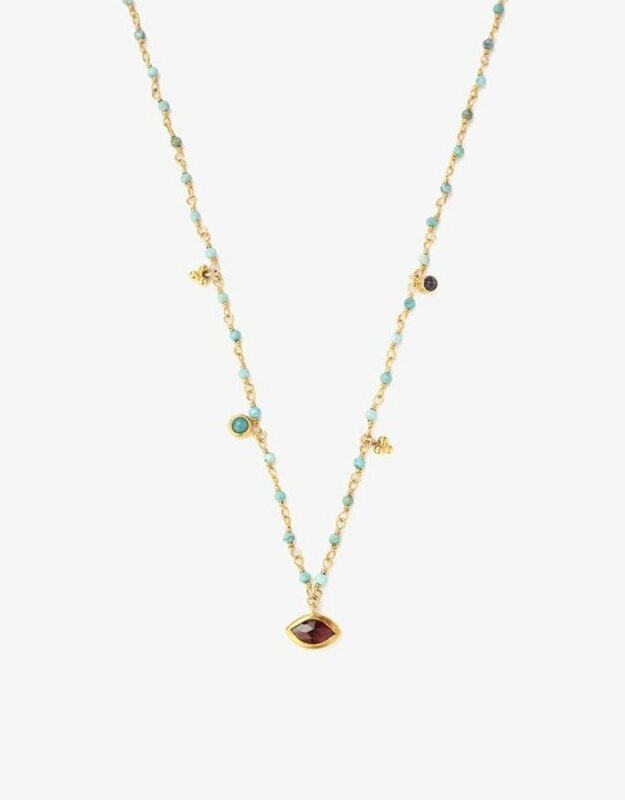 This delicate marquise pendant necklace with natural turquoise stones and a garnet charm is the perfect piece to add to your collection. 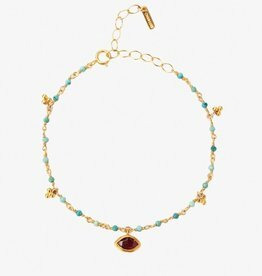 Fastens with spring ring clasp closure. 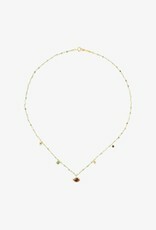 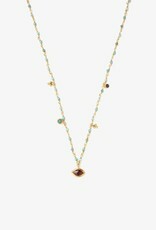 Wear this simple necklace alone for a classic look, or layer it with longer necklaces. 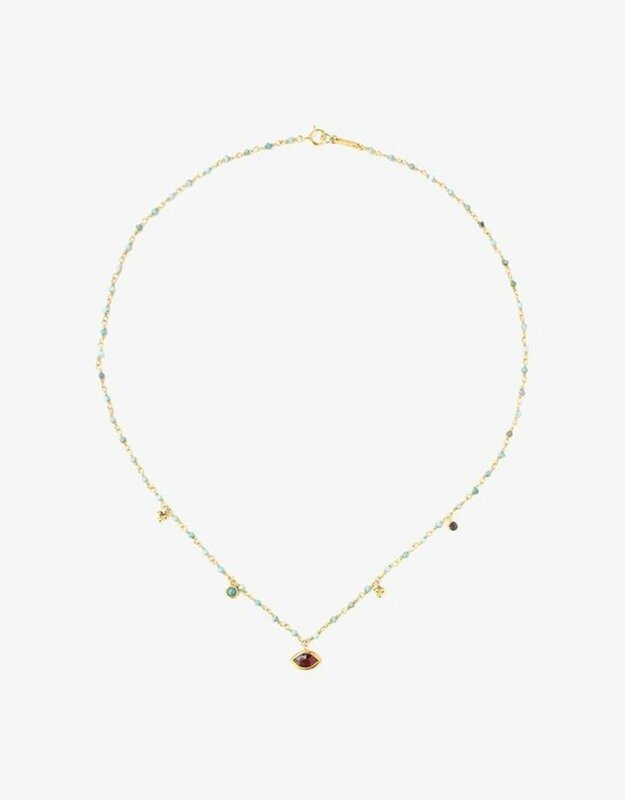 Content: Faceted natural turquoise stones, stabilized green turquoise semi-precious stones, iolite stones, garnet marquise, 18k gold plated sterling silver.